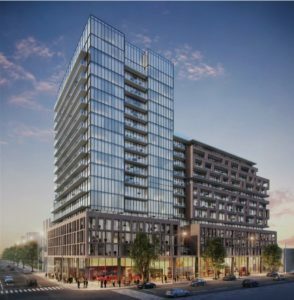 This is a follow-up Community Meeting to Lifetime Developments proposed development at 2-sites kitty-corner to each other at the intersection of Dufferin Street and King Street West. Councillor Perks is holding this meeting to review the developer’s revisions to the original application and to hear from community members. Councillor Perks will be joined by City Planner Kirk Hatcher and a representative from the development team. City Planning will be submitting their Final Report on the 1182-1221 King St. W. Rezoning Application to the November 14th meeting of Toronto and East York Community Council (TEYCC). If you are unable to attend the Community Meeting but are interested in further information, please contact the Councillor’s office at councillor_perks@toronto.ca.